Equipment needed. 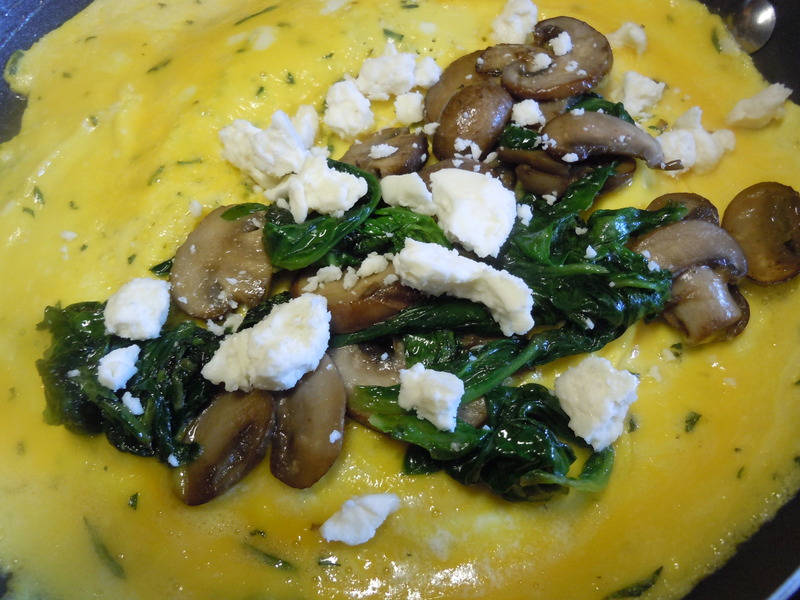 A non-stick skillet, a dedicated omelet pan, and warmed plates. 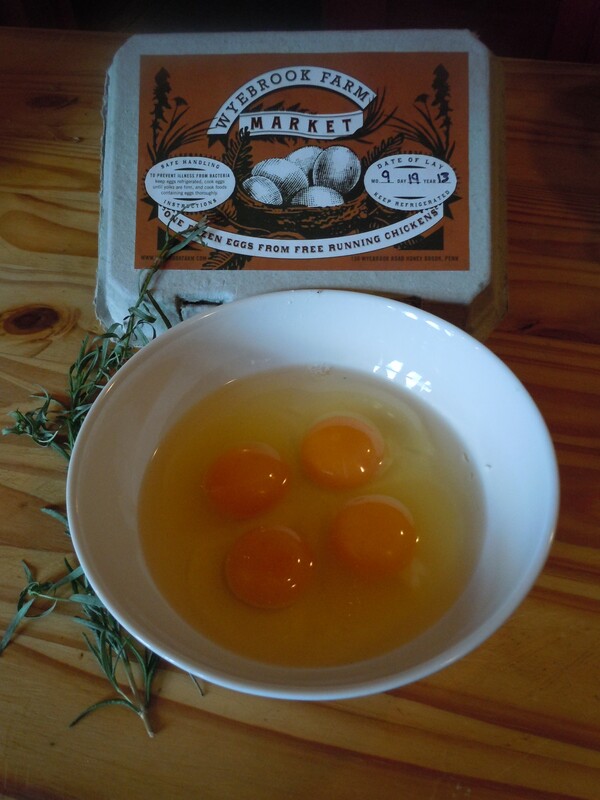 In a medium bowl, beat the eggs with a fork. 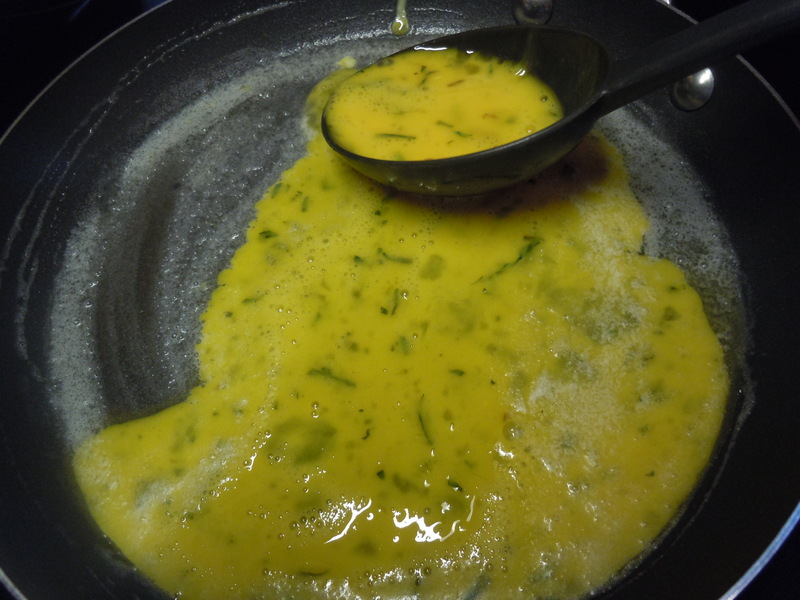 Stir in the chopped tarragon. Lightly salt and pepper. Set aside. 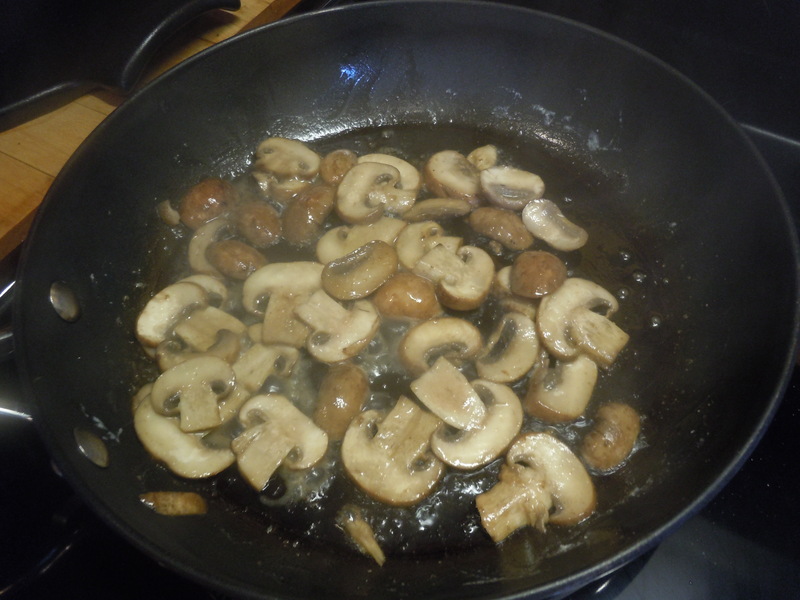 In 2 tbs of the butter, saute the mushrooms over medium high heat until just beginning to brown. 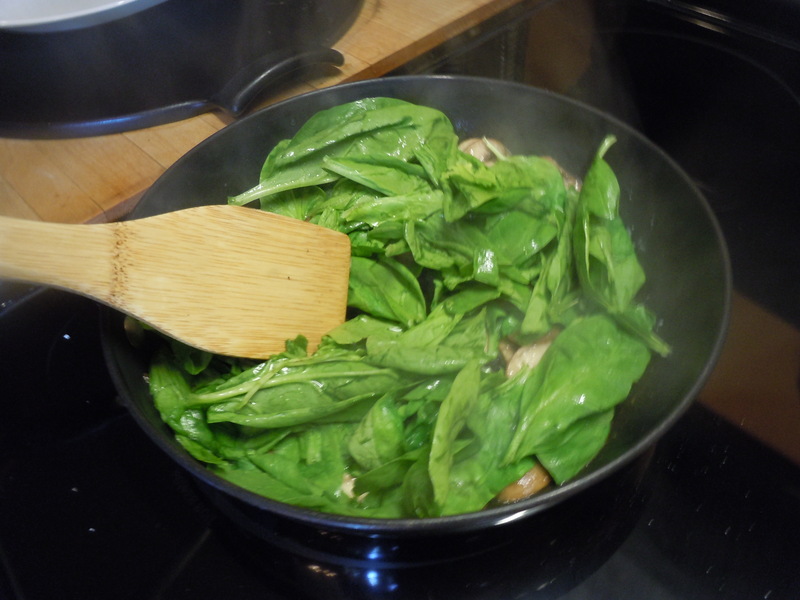 Stir in the spinach and cook just until wilted. 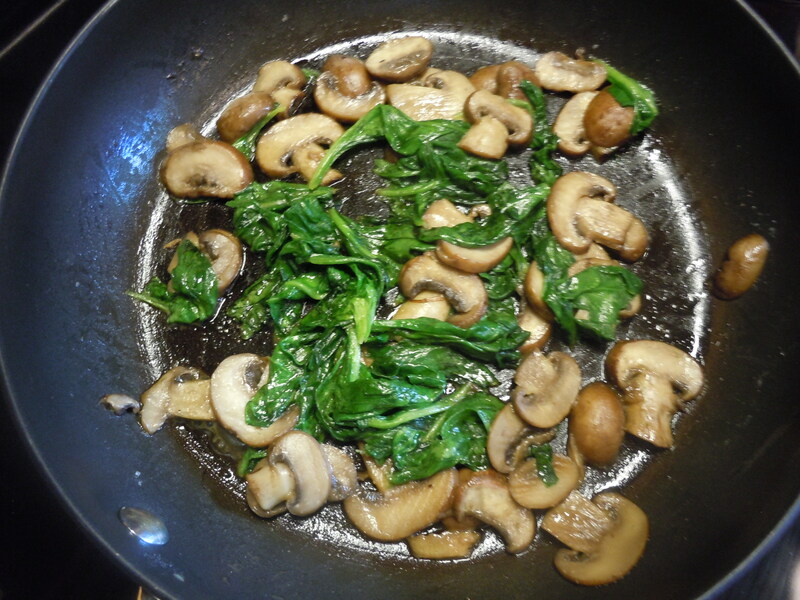 Set aside over a warm burner. 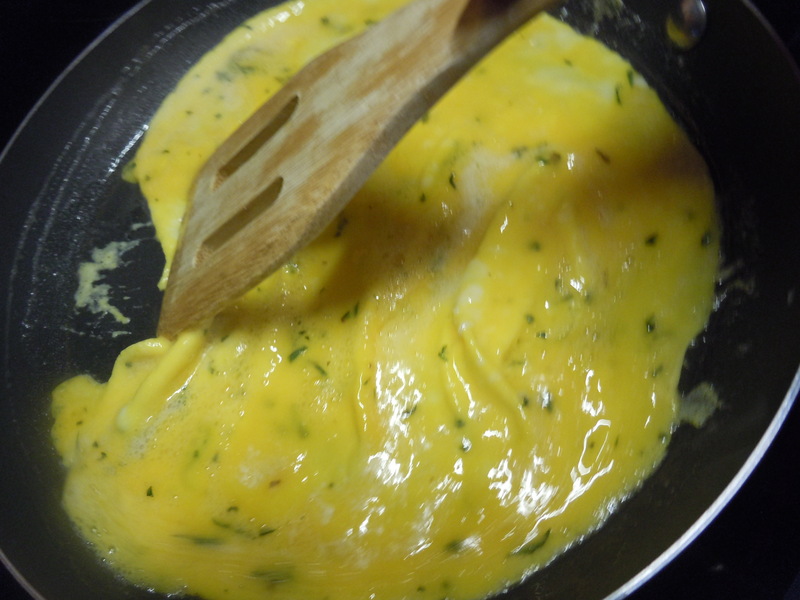 In your dedicated omelet pan, melt 1 tbs of the butter over medium high heat. 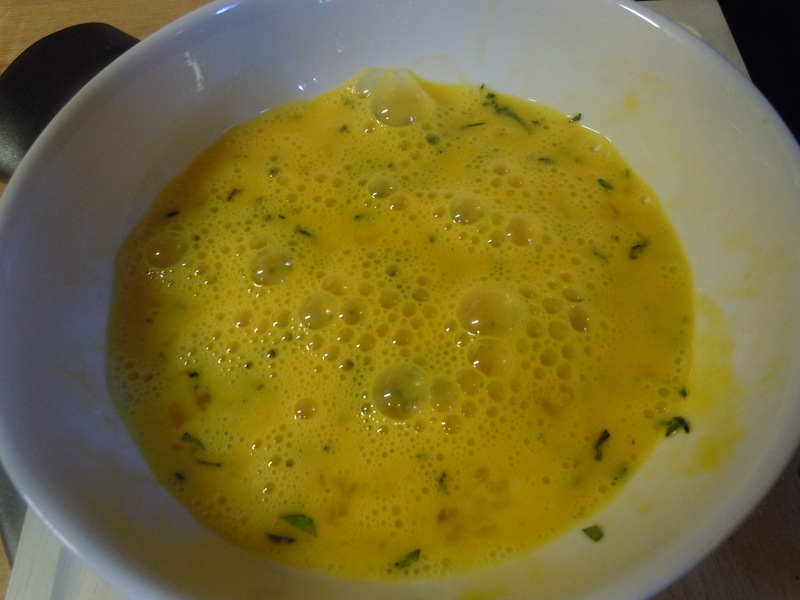 When it stops foaming and begins to turn brown, pour in half the egg mixture. 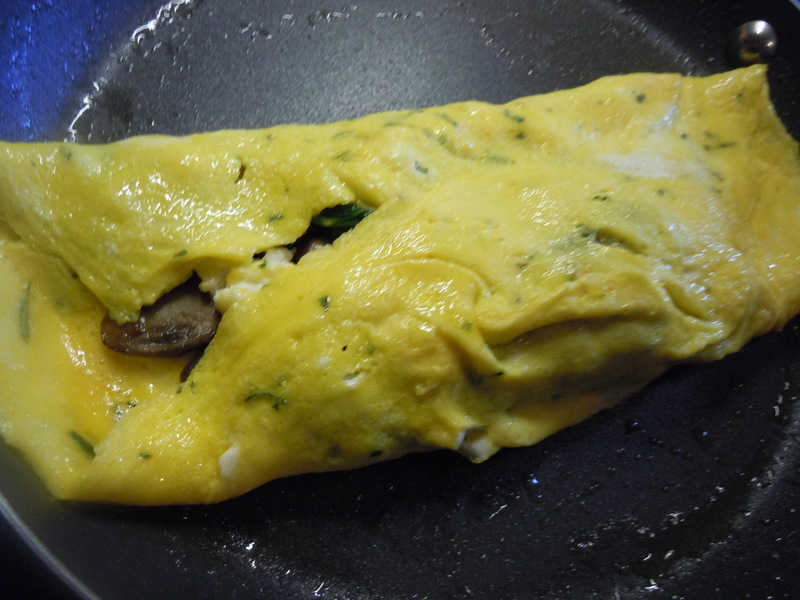 Cook just until the bottom is set, swirling the pan or lifting the edge of the omelet to let any uncooked portion flow underneath. 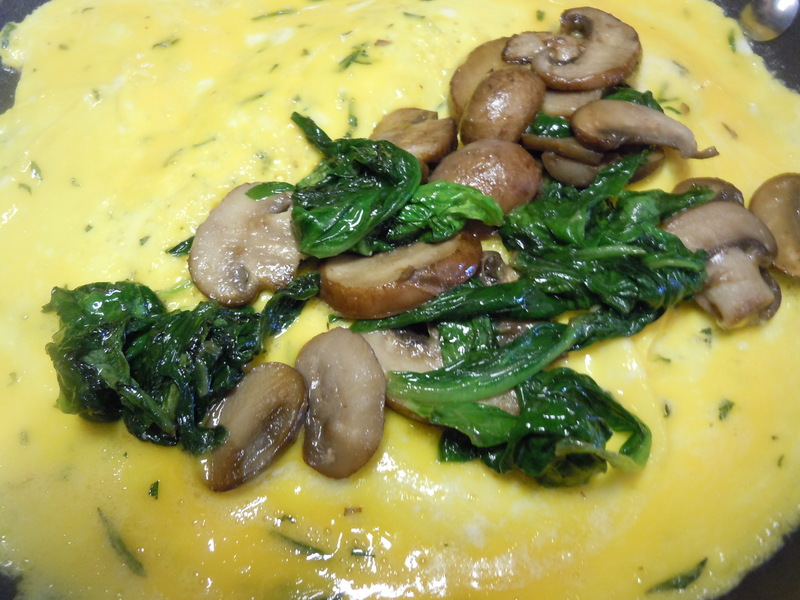 Spoon half the spinach and mushroom mixture onto the omelet (either down the middle or onto one half). Top with ½ the crumbled feta cheese. 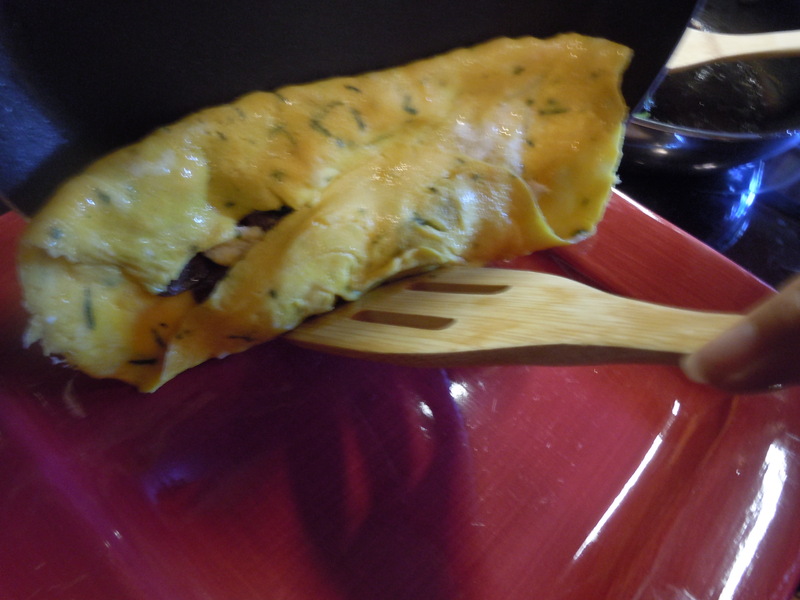 Fold 1/3 of the omelet onto itself, then holding the pan at a 45 degree angle over a warmed serving plate, fold it another third and slide onto the plate. 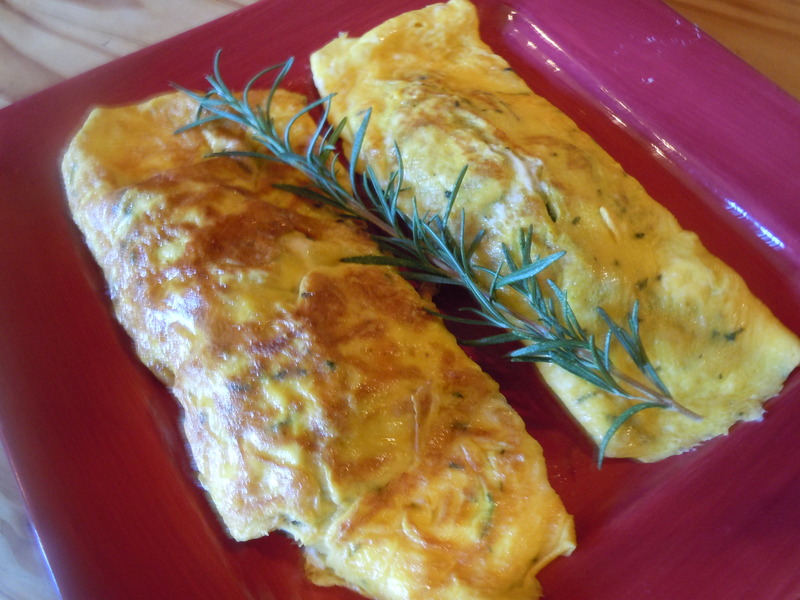 Serve at once, or keep warm while you prepare the second omelet. 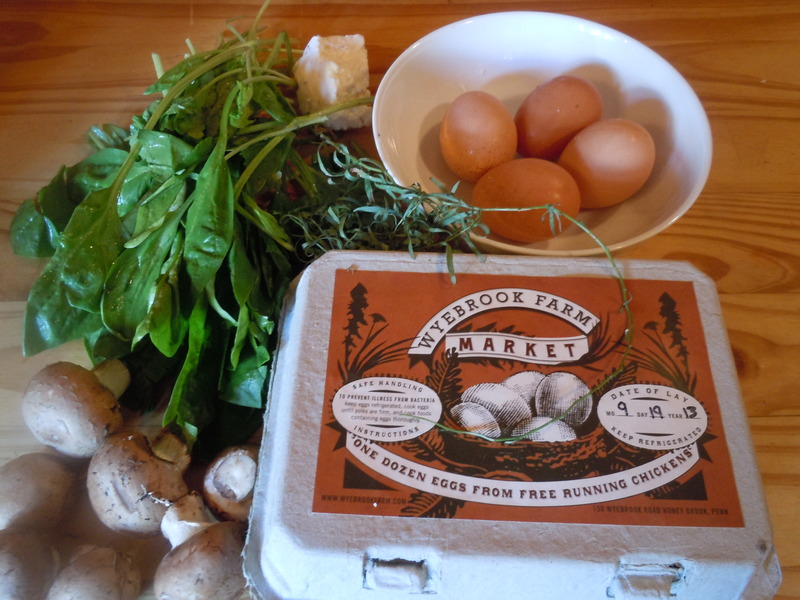 It’s so good to find a local source for fresh, wholesome food!